When you’re a beginner, the world of makeup can be incredibly daunting. Makeup isn’t just a coat of mascara and a swipe of lip gloss. With everything from contour to strobing to baking, applying makeup requires a full unique skill set to master. When you’re first starting out with makeup, all of the different terms and techniques that come with the process are naturally very confusing. You likely have absolutely no idea which brushes to use where, which products work best with your skin, and which makeup looks complement the shape of your eyes. When it comes to makeup, there’s definitely a lot to learn when you’re a beginner. If you’re willing to put in some time and effort into learning, there’s no reason you can’t become a pro in no time. However, mastering the basics of makeup application really doesn’t have to be that difficult. You can easily learn how to create a variety of gorgeous and simple makeup looks as you develop your skill set. Just try not to get overwhelmed; the world of makeup is a lot more simple and a lot less terrifying than it seems. Purple is a great color to use when you’re first diving into the makeup universe. Purple complements every eye color from green to hazel to bright blue. The cool shade also helps your eyes stand out in a semi-dramatic way. However, it’s not as difficult to deal with and blend as other darker colors like gray or black. Don’t be afraid to get your hands dirty with a bit of shimmer, even if you’re first starting out with makeup. Surprisingly, using glitter and shimmery eyeshadows in your makeup looks can actually make creating gorgeous looks more simple. Shimmery eyeshadows are more forgiving than those with a matte finish because they blur the lines of your makeup and mask the appearance of unblended makeup for a smooth finish. When it comes to creating simple eyeshadow looks, there’s one important formula to remember. 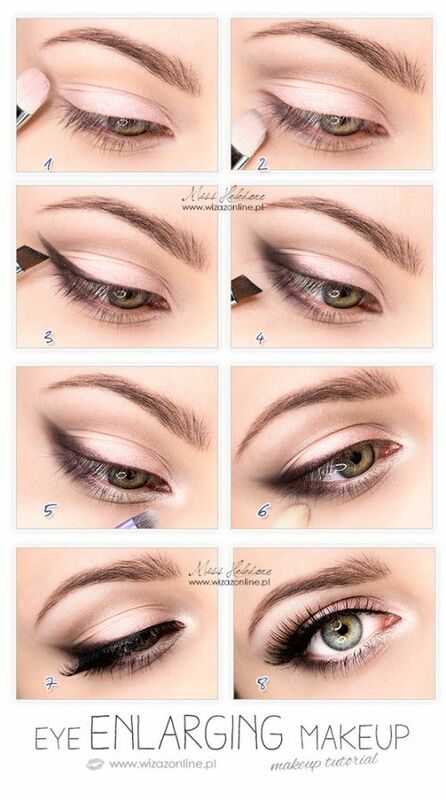 Use three different complementary shades of eyeshadow. Place the lightest shade in the inner corner of your eyelid, the middle shade in the center of your eyelid, and the darkest shade in the outer corner of your eyelid to produce a smooth, blended look. Navy blue is another shade that looks great with almost any eye color. As in this look above, you don’t always have to worry about applying eyeshadow across your entire eyelid. That can create an overdone look. 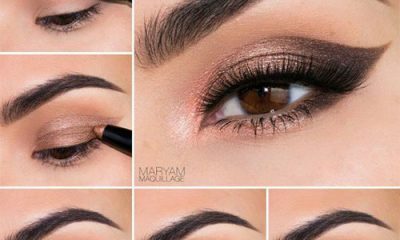 Sometimes, just applying a darker color to the outer corner of your eye and along your lower lash line is more than enough. Eyeshadows with a matte finish are very unforgiving. However, this reality does not mean that you should be afraid to use them in your makeup looks. Just keep things simple. Stick with varying shades of the same color and blend as much as possible. 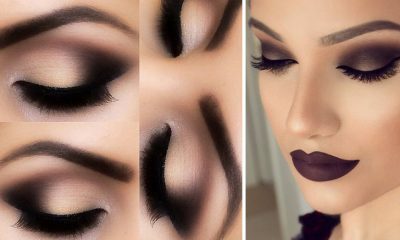 Smokey eyes are one of the most classic makeup looks, but they are also one of the most daunting for many beginners. 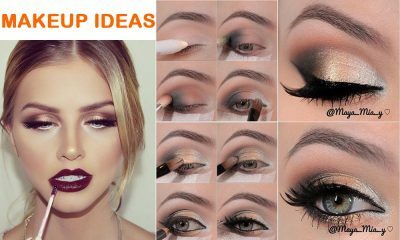 The smokey eye look shouldn’t terrify you. When you’re first starting out with this look, stay away from super dark eyeshadows. Instead, keep the darker shades at a minimum and use them to dramatize your look without overdoing it. Adding a little bit of shimmer in the inner corner of your eyes can do wonders for your makeup look. This transformative trick helps brighten up your eyes and makes your entire look appear more complex and professional even if it is inherently very simple. Even if your makeup skill set is still low, don’t be afraid to create dramatic eye makeup looks that involve your entire eyelid. Just make sure you know where to apply which shades in order to produce the most complementary look. 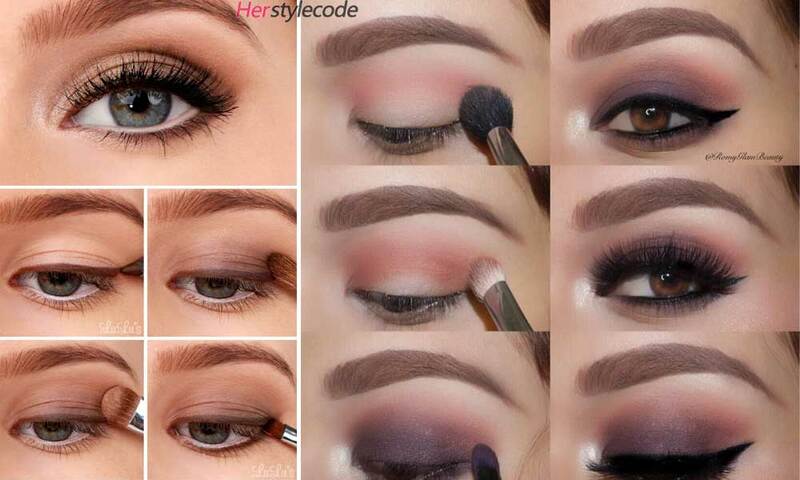 Keep darker shades below the crease or your eyelid. Then, apply lighter, shimmery shades up toward your brow bone as a brightening highlight. Winged eyeliner is another classic makeup look that is scary for beginners. However, it really doesn’t have to be that difficult to pull off. Like anything, winged liner just takes a bit of practice and patience to master. You can make things much easier on yourself by using an angled brush to outline and fill in your winged liner with more precision. 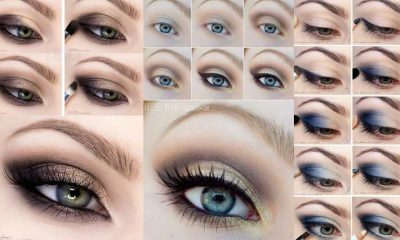 Don’t be afraid to mix different colors to create a gorgeous combination makeup look. Just make sure that you always use complementary colors. This trick ensure a blended and smooth finish for your look. 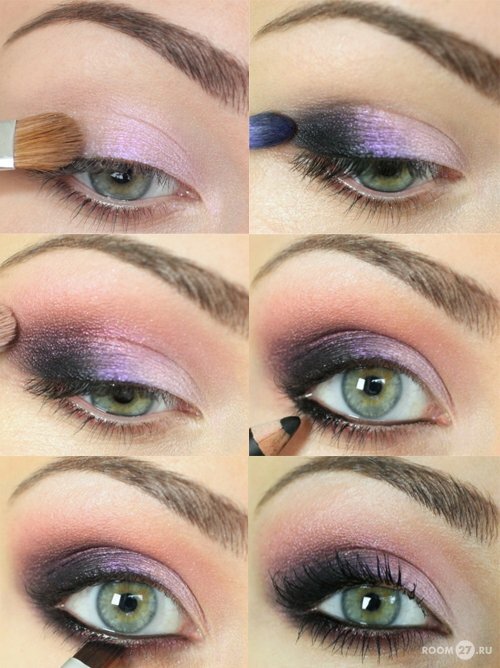 The mix of mauve and silver eyeshadows in the look above is a perfect example of a smooth and complementary combination.